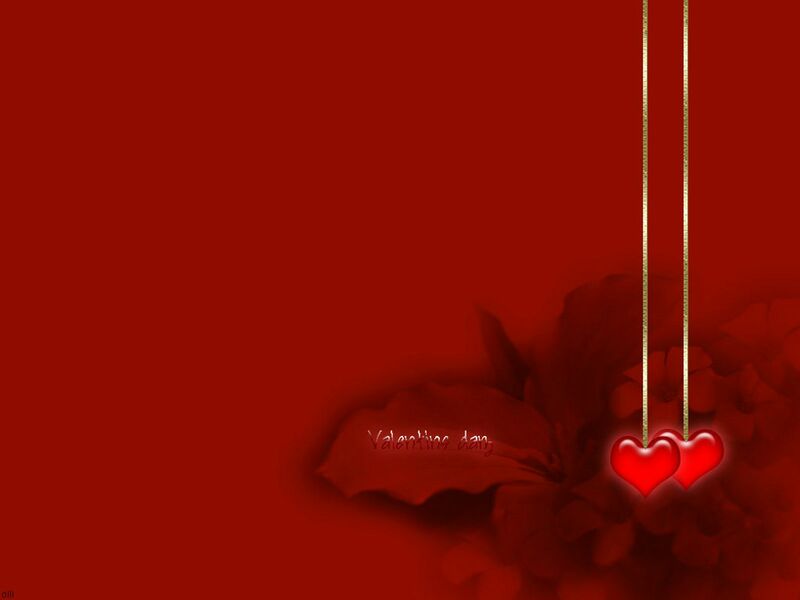 Every year on the 14th February people all over the world celebrate Saint Valentine’s Day. Saint Valentine’s Day is more commonly known as Valentine’s Day. We are sure you guys are familiar with the story. This day is celebrated in the memory of Saint Valentinus. Soldiers were forbidden to get married, but this Saint would perform their marriages and was therefore imprisoned. This day is associated with romantic love and whether or not you actually are in love, this day has become a popular tradition to be celebrated all around the world. The least we can do is round up different pictures for your collection and therefore we give you this list of 35 desktop wallpapers tailored for Valentine’s Day. Enjoy the read and Happy Valentine’s Day everyone. This is a typical picture which shows a girl walking away with a heart. It looks as if it is ripped away from a person’s body but that’s what girls do to us don’t they? They rip our hearts out. You know how they say that apples are really good for your heart. Well, this picture shows an apple in the shape of a heart. Or is it an apple? We’ll leave that for you to decide. You get these results with lights if you increase the shutter time. This picture shows a guy standing in his room making a heart out of lights. That’s what Valentine’s is about; hearts and lights. This is a typical locket which shows the couple on one side and the day the locket was gifted. Of course this picture does not use real humans, but that doesn’t have to be the case for you. Cupid is shooting arrows at the hearts. One heart is down the other is scared as hell and the third one is one the run. Which one are you? The fallen leaves of a tree in Autumn. They look beautiful and that applies to this one specifically. Yeah we have arranged our keyboard letters in various different ways for the purposes of humor, but this one is a little different is it not? The best saying about love that you will ever find. If this does not apply to you then you are not in love. But the words are pure beauty. A classic picture with a heart in the center. The colors used for the heart are amazing and if you focus closely, you should be able to see a rose right in the heart. A similar picture in terms of concept as shown above, but in this case, the hearts are running towards the arrows fired by cupid. Chocolates, hearts and the color pink; what else could depict a Valentine’s theme more perfectly? If anyone would like to volunteer and try to explain this picture, please be our guest. The quote in the picture says it all do. Love never dies all you need is a heart. This picture shows a girl falling for a guy and ripping her heart out for him and the boy is scared to death. How many of you gave your hearts to people? You will not understand the significance of this picture unless you watch Naruto. Sasuke and Naruto are arch rivals. Love does not always happen between two adults. Love is for all ages and as I mentioned earlier, all you need is a heart for loving someone. While most of you are looking for love there are always a few who would rather not fall in love. This picture is dedicated to all those; cupid is in trouble. A girl showers her love all she can. Hearts in this picture are metaphorically used for love. This is typical wallpaper with a nice color scheme; shades of red and pink. It wishes you a Valentine’s Day and shows balloons and flowers. Does someone else see a snowman-ish figure in the picture? Or more like a chef is it? Valentine’s day is very specifically more important to women. Therefore, for perfect wallpaper, you need to have a girl in there and this one does. 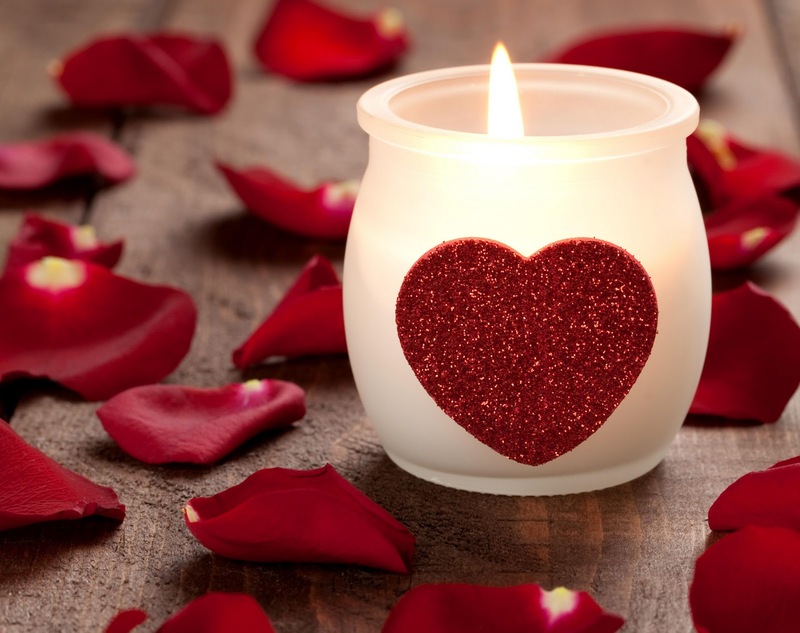 Candle light, rose petals and hearts; go out for romantic date this Valentine’s and woo your partner off his/her feet. This wallpaper is for all those who cannot be with their partners for any reason whatsoever on this year’s Valentine’s Day. God bless you. 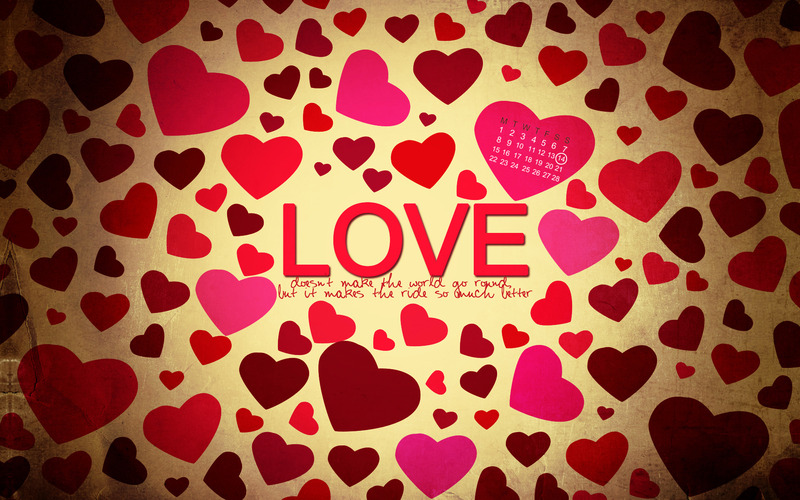 ‘Love doesn’t make the world go round, but it makes the ride so much better’. Who will you ask to be your Valentine this year? You could very well use this as a postcard. Heart shape on a wood and judging by light, that’s either the fire place or a candle. This is for all those who are not very fond of colors. Two hearts hang by a simple thread. Remember that the threads are difficult to sew but very easy to cut. Love is eternal. Love burns. Love is all about excitement, adventure, danger and risk. This is perhaps one of the more beautiful color combinations for the Valentine’s Day. Butterflies anyone? Behind the ice, in the shape of heart, is described love and what it’s all about. Learn and never let go. Two sugary pairs of lips holding on to the heart; Love is sweet; love is difficult to hold on to. Love burns and that’s true no matter what sort of a relationship you are in. We wish Happy Valentine’s Day to everyone. Let us just say that this for those couples who are expecting or trying. I am sure you will understand why. A couple on a beach, with their horses at sunset. Is this what they call romance or what? This is cute wallpaper. It shows a girl sitting in the guy’s lap and together, they are in love. This has to be one of the best wallpapers I have seen. It does not look childish, and it is classy too. Here is just one of my hearts I painted. I will have to upload my valentines wallpapers. Can we submit or upload here? It is painted in a style that is completely mine with mostly acrylics sealed onto ceramic and a mix of enamel, oil and ceramic on the background. I’m agreeing with Kevin! I like that you explained every wallpaper. I think that the best wallpaper is those one ‘VALENTINE’S DAY 33’ since it unusual.